Commuters dream. Beautifully remodeled condo within walking distance to CTA train, downtown Oak Park and River Forest. All new oak laminate flooring, the unit professionally painted throughout. Newer bath and newer kitchen with granite counter tops. Excellent school district and walking distance to public transportation. Assessment includes heat and water. Rentals are not allowed. INCREDIBLE COMMUTER LOCATION, WALK TO GREEN LINE OR METRA and enjoy living a short walk to downtown River Forest and Oak Park. Convenient first floor level offers an OPEN CONCEPT Living / Dining- Kitchen Area with Peninsula Island. The two generous bedrooms each have ample closet space. Put those winter coats away in the spacious coat/storage closet located in the entryway hall closet. River Forest is well known for good schools...Concordia & Dominican University are located in town and very nearby. COMMUTERS: Walk to CTA Green Line and Metra, Trader Joe's, Jewel, Movie Theater, Walgreens, Panera, Library and many Shops & Restaurants Add your personal decorating ideas and make this spacious condo yours. Bike Storage and Laundry on site. Parking is on a waitlist with Village Parking available across the street and other parking options nearby. LOCATION-LOCATION-LOCATION- In-town location, close to shopping, restaurants and transportation, walking distance to Dominican and Concordia. 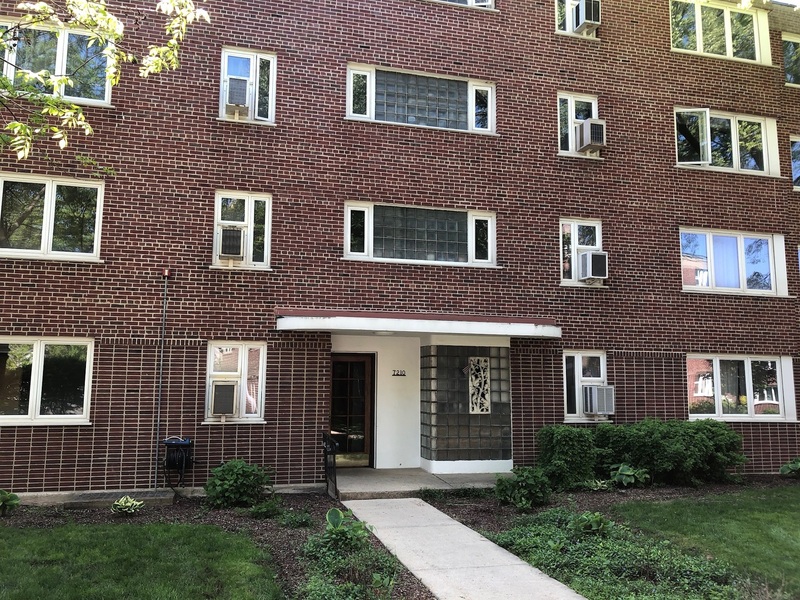 Park-like setting with brick paver patio for outdoor enjoyment, two bedroom condo, remodeled with an open floor plan, newer windows, freshly painted throughout and refinished parquet flooring. Bright and sunny, elevator building, top schools, library and parks. Coin laundry and storage. Rental parking nearby. What more can you ask for?